I know that this has been raved by the whole blogsphere but, I only started using this last month after my October Haul. Better late than never right? Because, this pencil does a lot of wonders. 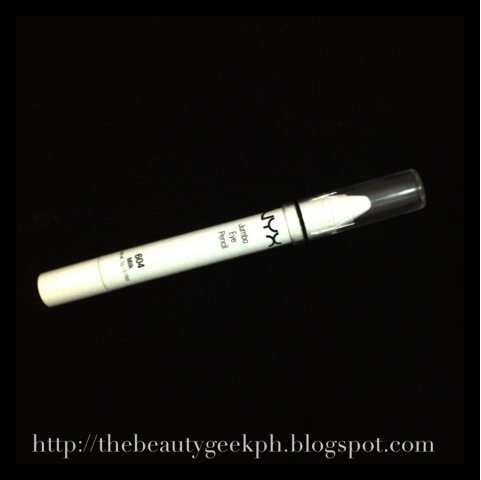 The NYX Jumbo Pencil (particularly in this shade 'Milk'/'604') is a multitasking product. Why? Here are the many things this jumbo pencil can do aside from being used as an eyeliner. With it's creamy consistency, it can be used as an eye shadow. Not all skin tones work well with it though. You can use it to highlight your brows. 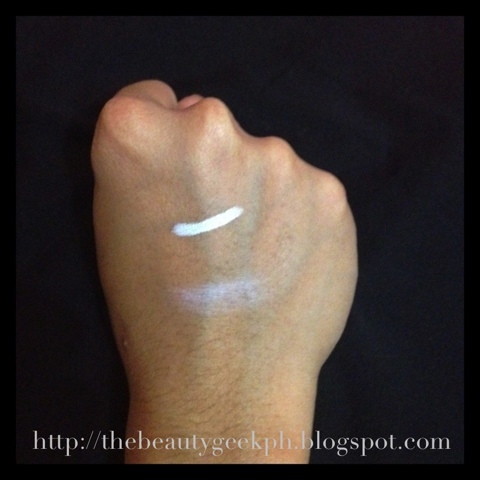 It can substitute primers as it makes eye shadow colors more vivid. It is also good to highlight the inner corners of your eyes with this product. 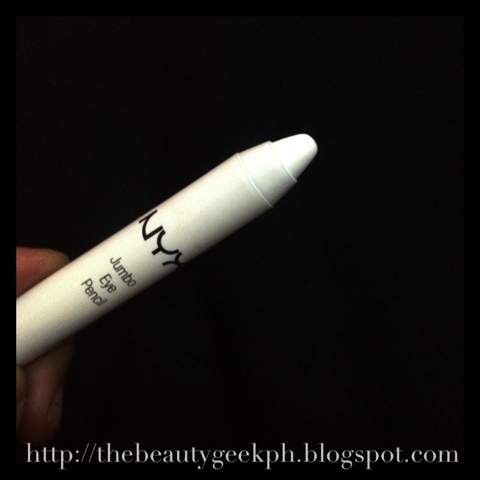 Where to buy: I always buy my NYX make up from Pretty Goddess who has kiosks at Pop Culture Trinoma and Alabang Town Center (Both located at the 2nd floor). You can also catch them on most bazaars especially at Eastwood during weekends. Will I repurchase: Absoultely! I am also dying to try other shades because they really come in handy in your make up kit. Plus the price isn't that steep! *Disclaimer This is not a paid advertisment and I bought this from my hard earned money. The reason I recommend this shop is because, it is one of the few bazaar stalls/ online shops that I trust as I am prone to being fooled when buying make up haha. Plus, they also have the friendliest staff who all don't mind if I take too long swatching products. This is how it looks like when lined (upper) and blended (lower). Here's how it looks like when it is being used as a primer. The same amount of eyeshadow were swatched here. 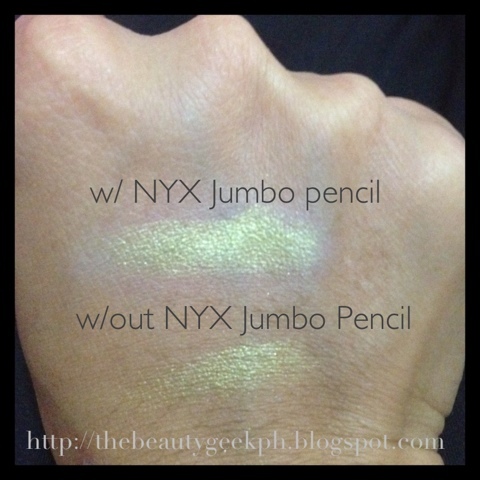 You will notice that the one with the NYX jumbo pencil is more pigmented and vibrant. And that's about the rest of it. I hope you girls enjoyed this post. Feel free to share your comments about this product if you have tried it already. And for those who haven't, I highly suggest you add this to your growing make up collection. I want to purchase this!! Ive heard a lot good feedbacks and reviews about this product, definitely an affordable substitute for mac prep+prime eye base.. yay! Thanks for this! Oh I've never heard of this product before. What a great price too, 4 dollars? Awww that just made my heart melt! :)) btw your blog didn't just deserve a peek but another follower as well! It's really an awesone blog! :) thank you! looks good! would you like to follow each other? let me know! id say i will get one :) would u like follow each other?